The EJS 039 Frame Series from NIDEC-SHIMPO offers features which cannot be found in today’s market. Standard adapters are available for easy mounting to both, servo and AC induction motors. Dual bearings on the input shaft ensure proper alignment of the motor and gearbox. 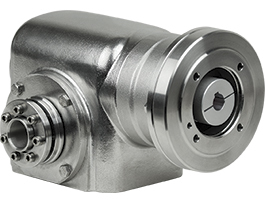 This design allows the gearbox to be mounted in any orientation.